There is a buzz throughout the builders’ merchants sector, with brands, merchants and individuals putting themselves in the running for an accolade at the 2019 edition of the BMJ Industry Awards. Following the scheme’s astounding success in its launch year, a BMJ Industry Award has become a coveted trophy that represents a truly independent stamp of excellence – and its benefits extend far beyond just picking up an accolade at a glittering awards ceremony. 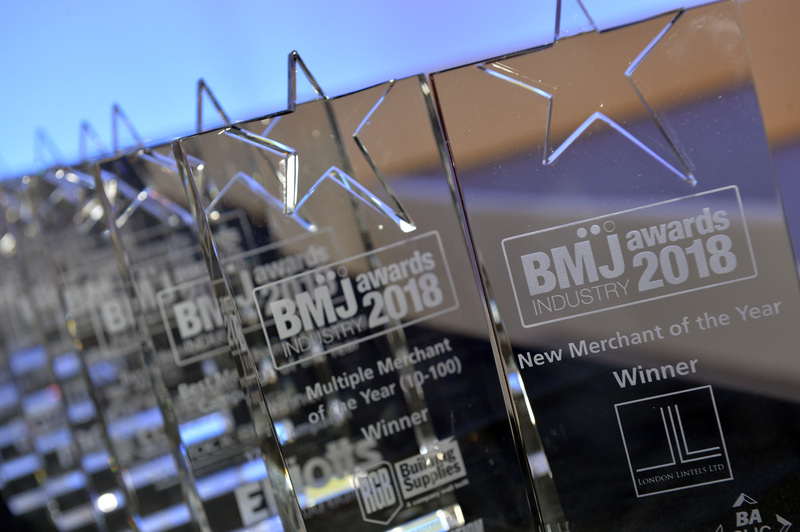 Winning a BMJ Industry Award is a unique way for companies to heighten brand awareness in the market and differentiate themselves from competitors, taking a good reputation to even greater heights. Winners can see new doors open for potential business connections and rise in productivity levels, with employee motivation and morale boosted within an award-winning company. Companies that wish to be in the running for an award simply need to visit the BMJ Industry Awards website and submit an entry via the online form. As an awards scheme that is all about the industry, nominations are also highly encouraged – and these can be submitted using the same online form. To find out about the accolades that are up for grabs at the BMJ Industry Awards, including brand new categories introduced in response to industry feedback, visit www.bmjindustryawards.co.uk. The deadline for entries and nominations is Monday 14 January 2019. Unlike other industry awards schemes, the BMJ Industry Awards recognise that the very best can only be decided by those at the heart of the sector. You, the industry, will once again have the first and final say in who will take home an award. Following the entry and nomination stage, voting in the 2019 BMJ Industry Awards will open on Monday 4 February. The BMJ Industry Awards 2019 has received the early backing of a number of industry names, including Hanson Cement & Hanson Packed Products, Knauf Insulation, Lakes Bathrooms and Rockwool. Sponsoring the Awards is a unique way to show commitment to the highest levels of excellence and project your brand to a highly engaged and relevant audience. Find out how your brand can benefit from the Awards platform and secure maximum coverage by contacting Fiona Russell Horne on 01622 699101 or at frussell-horne@datateam.co.uk.